The 2nd seeded New York Rangers take on the 1st seeded Pittsburgh Penguins on May 2nd in the Metropolitan division final. 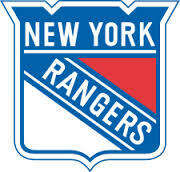 The Rangers will have their hands full trying to handle Crosby, Malkin and the rest of the Pens. Here’s who’ll be their game breakers while taking on Pittsburgh. The former Blue Jacket was held goalless by the Flyers during the first round (although he did put up 4 assists and had a multitude of chances in game 7). It may be because earlier in the season he had a concussion, but Nash seemed to be afraid to drive to the net and was taking the majority of his shots from low percentage areas. If the Blueshirts are to beat the Pens, Nash will have to make better choices when shooting and must be willing to get a little dirty. Nash had 26 goals during the regular season, he has yet to score in the playoffs. Ryan McDonagh is the centrepiece of the Rangers strong blueline and he will need to be on his top game to shut down Crosby and Malkin. The Saint-Paul, Minnesota native will be relied on, along with Dan Girardi, late in games to shut down the Penguins. He didn’t play his best hockey in round one (0Pts, -2), and will most defiantly need to up his game against the 2nd place team in the East. bleacherreport.com McDonagh averaged just under 25 minutes a game and was a plus/minus +11 during the regular season. 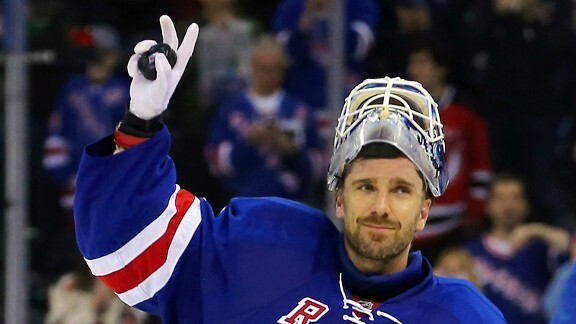 The 2012 Vezina winner could steal the series for the Rangers. The Swedish silver medalist can potentially shut down Pittsburgh’s top scorers and his shallow playing style enables him to save rebounds and cross-crease plays much easier than other goalies. Lundqvist should be Dan Bylsma and the Pens main concern. 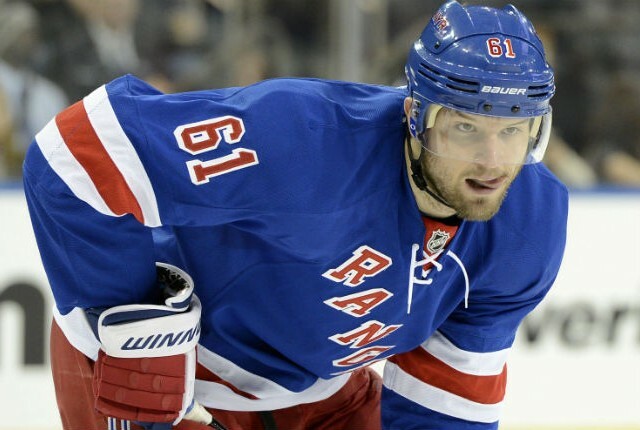 The Rangers can count on their defensemen to help them win. McDonagh, Giradi, and Marc Stall are all expected to be rock-solid defensively and even Anton Stralman looked great in round one versus the Flyers. And of course their goaltending should be topnotch. 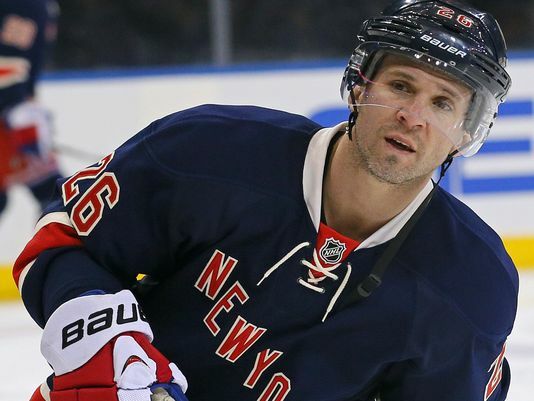 Also, don’t forget about the always dangerous Martin St Louis. I may mention special teams a lot on All Day Sportz but that’s because they really are that important to winning (especially in the playoffs!). New York is struggling in both special teams departments with a 71.4% penalty kill and a 10.3% power play. To add, the Rangers can’t seem to win while they are leading in a series. 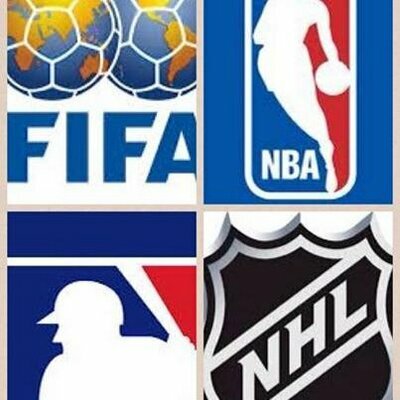 In the past 3 years, all 4 series’ New York has won has gone to 7 games. Like what you saw? Don’t agree with me? Leave a comment below!